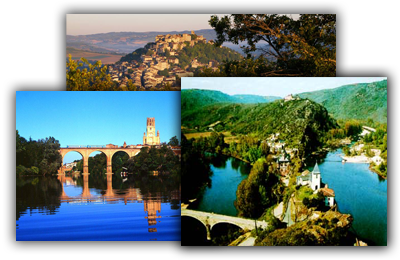 Albi, Cordes sur Ciel and Ambialet, are just a few of the many stunning places to visit while you are staying at Ch�teau de la Riviere. See Things to do for more info on these and many other attractions. Current Sales. 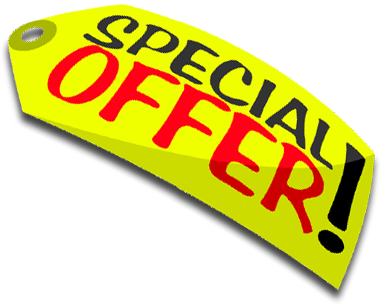 10% off the total cost of your holiday if you book before 31st March 2017. Applies only to any booking for a holiday upto the 30th June 2017. Book now to avoid disappointment! contact us for further details. 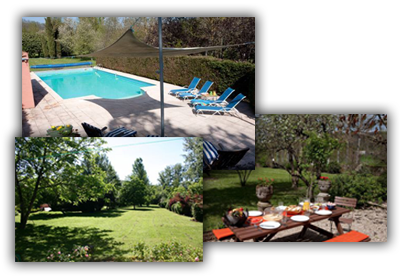 Two gîtes for rent in South West France with a private swimming pool and set in an acre of beautiful gardens. 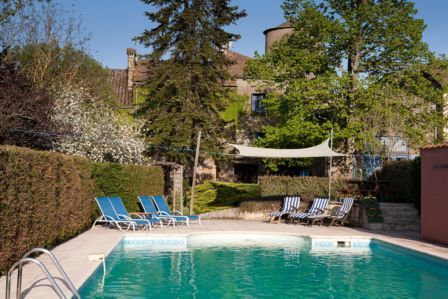 We offer free wifi and provide everything you would need for the perfect family friendly holiday in France. 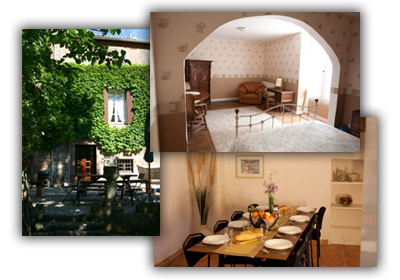 We also cater for many people looking for group accommodation in France as the two properties, which form part of the original château, can be rented individually or together for up to 16 people. 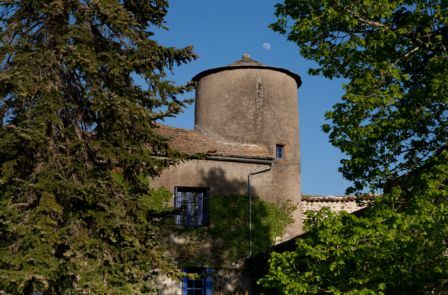 Maison De Tourelle houses the original 13th century tower here in our riverside hamlet of Salles. It is a beautiful property which blends modern living with some stunning original features such as beamed ceilings and open fireplace and sleeps 8 people. 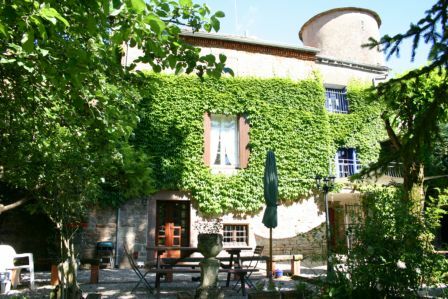 Maison Sans Tourelle also sleeps 8 people comfortably when rented individually. 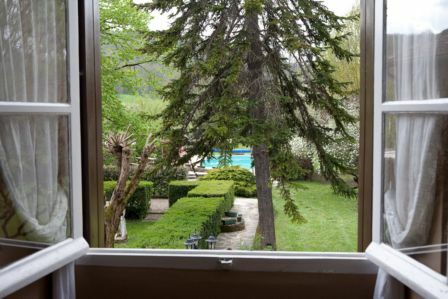 This property also boasts many original 18th century features and combines them with modern touches such as the charming well equipped kitchen. The hamlet of Salles is a classic French village offering peace and tranquility. 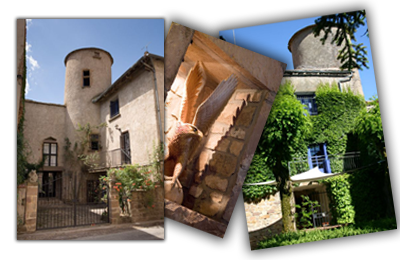 The local restaurant is very typical of the region, and we are only 8km from the medieval town of Cordes-sur-Ciel with a wider range of shops, cafés and restaurants and french markets.